Note: Inactive employees are considered part of your employees. Deleting employees removes also all the employee data. $1 USD per employee per month! All features included in all plans - Premium Support 24/7 FREE! 2Checkout.com Inc. (Ohio, USA) is a payment facilitator for goods and services provided by http://www.emplotime.com. Emplotime initiative, comes to cover the basic needs of the small and medium business companies/stores and provides an online web time clock that allows your employees to clock in and out of the office. Together with the web clock (Check the Demo Clock here), you will be provided with an extremelly user friendly portal where you will be able to, not only see, adminster, print and export your employees ins and outs, but also watch in real time every time an employee clicks on the Emplotime web clock. 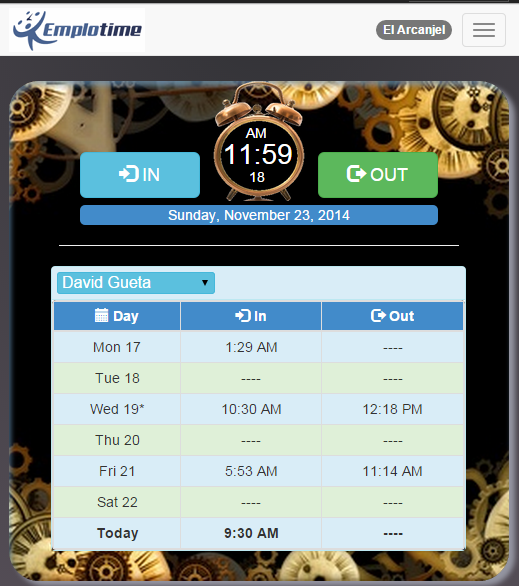 Through the web time clock page your employees will clock in or out of the office. Only you decide from which PC's tablet or mobile phone your employees could perform the In or Out action. 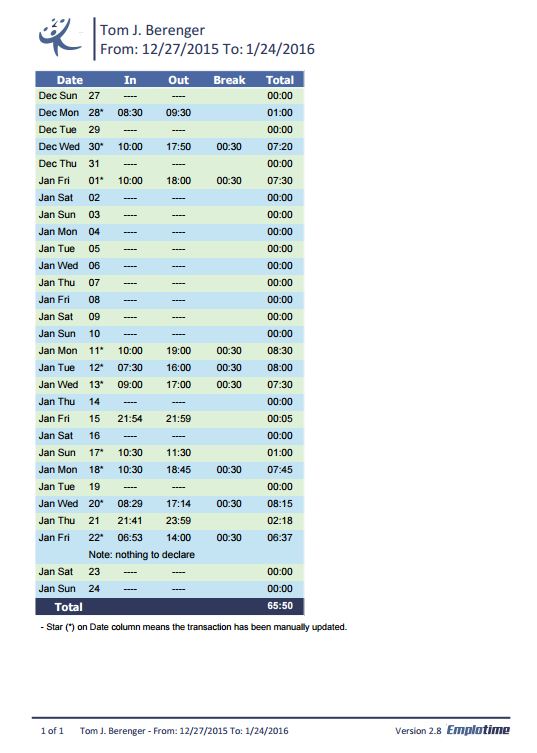 Watch, print, save and export different reports, like monthly, weekly or date ranged. Save the reports in the format you prefer, such as, PDF, Word and Excel. Add, update and delete employees and transactions. 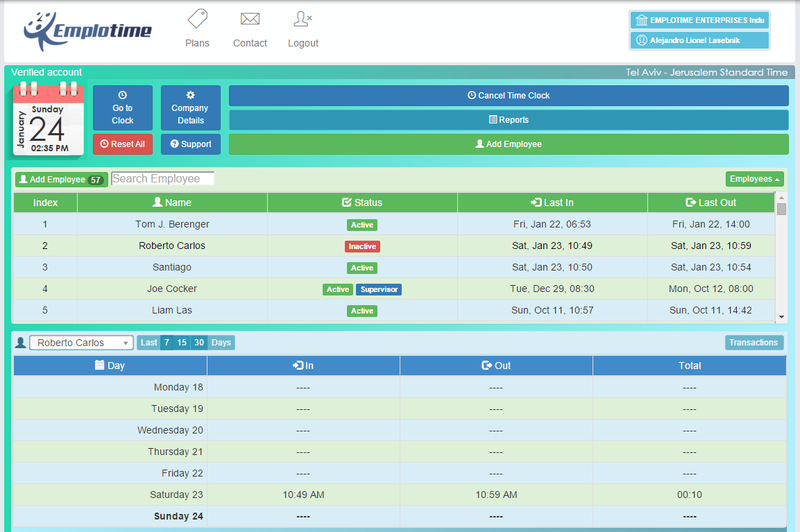 This easy to use portal will provide you the tools for administrating your employees and their work time.